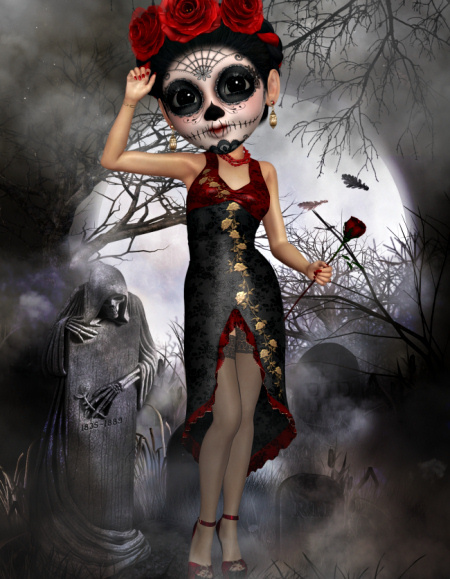 An elegant Day of the Dead graphic, featuring a lady with skull make-up and a red rose. 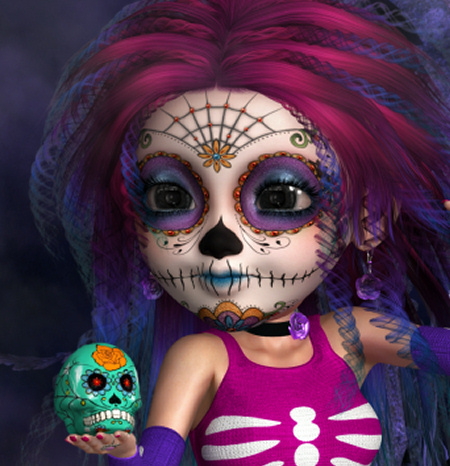 A Goth-looking Day of the Dead character in the PNG format. Perfect for any spooky scene. A true Goth beauty with a red rose and skull. A stunning Day of the Dead character in hot pink. This glamorous character is in the PNG format. She wears a lovely gown and high heels. Great for scrapbooks, tags, card making, and more. 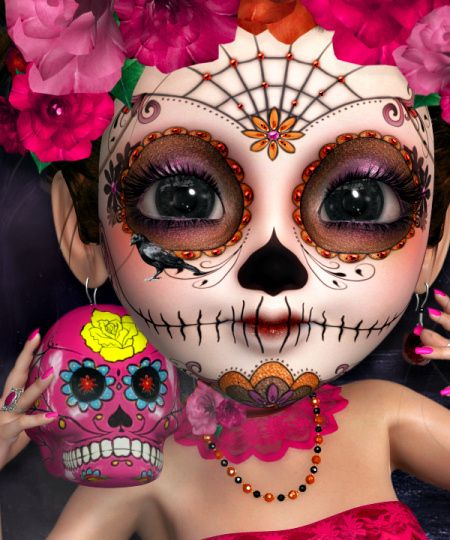 A colorful little sugar doll graphic in the PNG format for your Day of the Dead designs. Vivid and bright in honor of the dead. 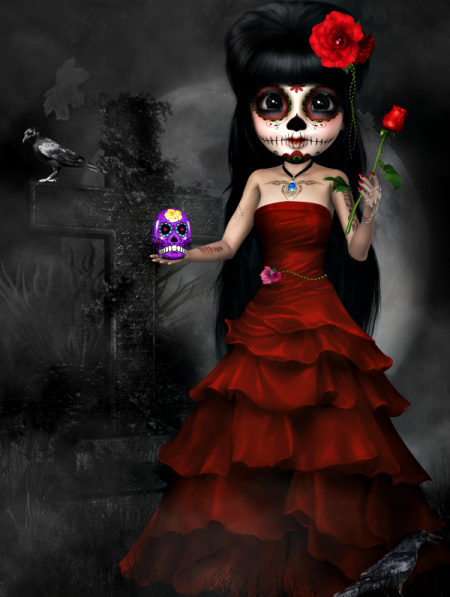 A glamorous Day of the Dead character in the PNG format. 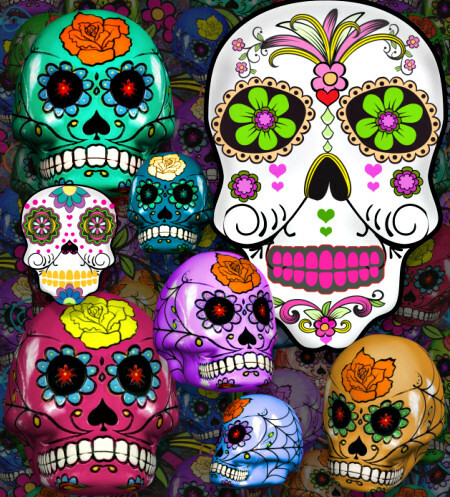 A colorful Day of the Dead graphic in the PNG format. This little Sugar Doll is eye-catching. A cute sugar doll for your Day of the Dead designs from my new Little Doll Collection. 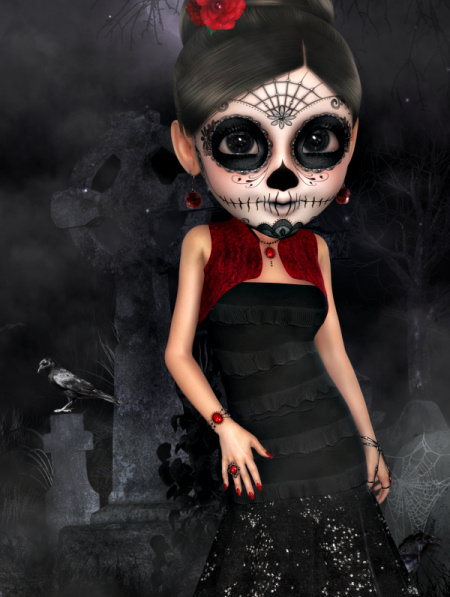 Sugar Doll Graphics for your Day of the Dead Designs. Sugar Skull Graphics for Day of the Dead Designs. Includes several illustrated and 3D sugar skulls, and seamless tiles.